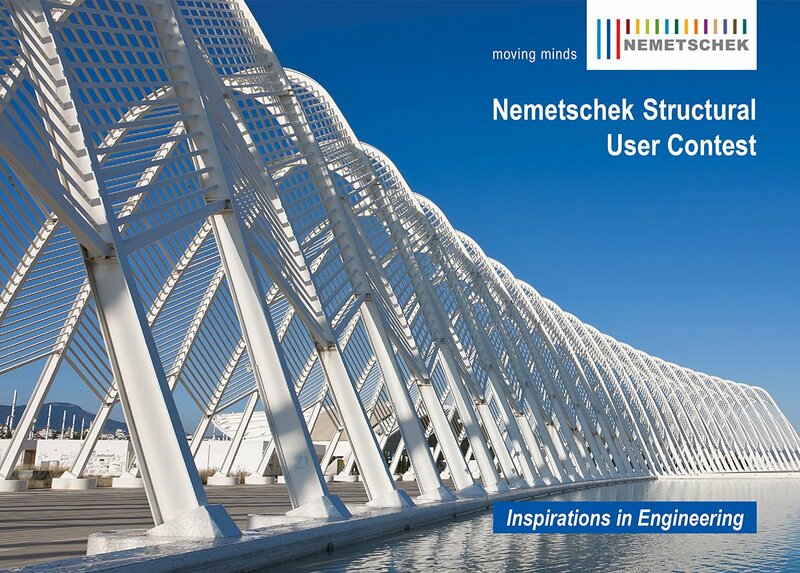 From the 127 participating projects at the User Contest 2013 experiences can be extracted to illustrate the state-of-the-art engineering practice. 2. Re-using the model in different project phases is much appreciated; in design as well as in construction stages, applied by engineers and by contractors, it all improves the coordination tasks. Experienced users produce full construction documentation using just Scia Engineer. 3. Geometric shapes of buildings, bridges and civil structures are nowadays spectacular; the modelling capabilities of Scia Engineer are well used, even for animations, and visualization of nearly “everything”, including foundations & subsoil, moving stages, steel connections, reinforcement layouts and non-structural elements. 4. True simulation of materials is widely used. The codes require precise deformations in service state and many materials behave nonlinearly, not to speak of concrete, subsoil, and also new materials such as fibre reinforced concrete or even bamboo. Multi-material modelling is applied in most cases. 5. Natural hazards in many regions impose advanced studies; the contest projects are built in China, Chile, Austria, Italy, Greece, Romania, Algeria, and others, in regions with high earthquake risks. Definitely more attention goes to seismic studies. Finally it must be mentioned that the progress of internationalization is significant; engineering consultancy has no border limits. Even small to medium sized engineering companies succeed in playing a decisive role in the realization of technologically advanced construction projects.